The monarch butterfly is one of the most stunning of butterflies and is more so considered as a lead butterfly. This is what earns it the name monarch. This type of butterfly further has some amazing features which are discussed as follows. 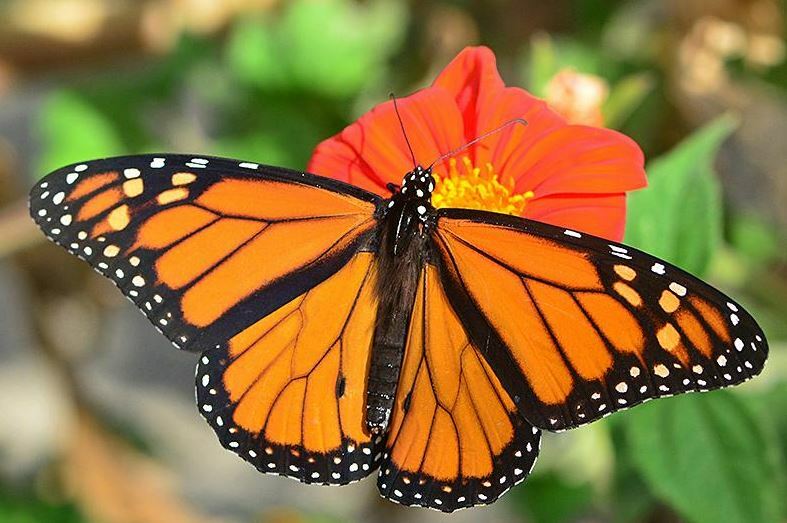 The monarch butterfly goes through four stages during its life cycle. It also goes through four generations in a year. Furthermore, it starts its life as an egg which hatches into larvae known as caterpillar. It then progresses to pupa stage and at this point it is known as a chrysalis. Thereafter, the chrysalis is what develops into an adult butterfly, and at this point the butterfly has wings and all other features. In addition, the monarch butterfly lives through four generations. The final generation which happens in February and March is what starts the life cycle again. The monarch butterflies come out of hibernation at this time to find mates. During this time, they also move north and east to find a location to lay eggs, and this forms the first stage of the butterfly which also symbolises generation one. The eggs are laid in milkweed plants during March and April where they hatch into caterpillars. The eggs also hatch in about four days after which the caterpillar feeds on the milkweed in order to grow. Furthermore, the caterpillar undergoes changes after two weeks, and it has to find a place to patch, normally on a leaf or stem, during the metamorphosis. It then transforms into a chrysalis. The chrysalis undergoes rapid changes in just after 10 days. It then transforms into a butterfly. Likewise, the butterfly feeds on flowers and enjoys the rest of its short life which lasts from two to six weeks. The first generation dies shortly after laying eggs for the next. Similarly, the second generation begins in May and June whereas the third generation starts in July and August. Each generation goes through the same life cycle of egg, larvae, pupa and adult before dying in about two to six weeks. One generation therefore lasts about six to eight weeks. The fourth generation is born in September and October and has a matching life cycle. However, the monarch butterfly does not die after two to six weeks like the others. Instead, the butterfly migrates south to warmer climates like California and Mexico, and lives for six to eight months until it is time for generation one again. Copyright © 2019 More Than Monarchs. All Rights Reserved.